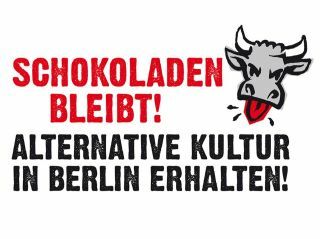 Prevent the SCHOKOLADEN-Eviction! (22.02.2012) !! We are one of the last standing Cultural venues in Mitte – 22 years and counting.. WE Need All of your help and Support :: Thus far we’ve had NO real help from the district, from politicians – only talk and a few pity parties and EVERY attempt at a resonable discussion with the house owner Herr Friedrich has repeatedly been disregarded or shot down. A peaceful solution has been avoided. Support Us in various ways // pass this on :: Come to our shows and Events, Drink our Beer, celebrate with your friends, dance, and mark your calendars -very important !! 8am Ackerstrasse – on the 22nd Of February! This past year was a whirlwind and the music was as moving and eclectic as its speed. Full of events and shows that i was very proud to be a part of and of the tremendously talented folks i am privy to meet each year that makes my soundtrack grow and grow.. thanks to you all and the guests who came out to share these special moments. 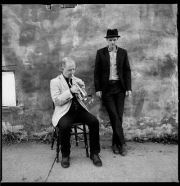 And The Wiremen (NYC) // is a Brooklyn-based ensemble led by songwriter and multi-instrumentalist Lynn Wright. As the primary songwriter and lyricist, he specifically works and collaborates with core members Paul Watson (Sparklehorse) on trumpet, Tony Maimone (Pere Ubu) on bass, and longtime partner in crime Jon Petrow (Cloudroom) on guitar (with whom Wright also shares time in another laudable Brooklyn-based outfit, Bee and Flower).